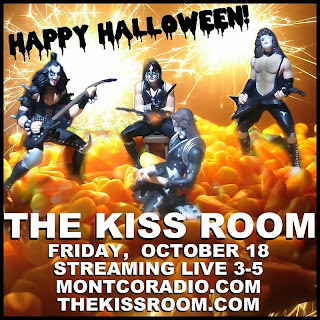 LISTEN to the October edition of THE KISS ROOM, recorded live on Friday, October 18. • Starchild CHRIS GIORDANO from KISSTORY! • KISS fan CHRIS ANN COLVIN! • SuperFan ANDY with a KISS Kruise Kommentary! We're talking Halloween, Hall of Fame, KISS Kruise, giving away some cool prizes and MORE!